Konfidence™ has grown over the last 15 years as a direct result of the success of the Original Konfidence™ Jacket. 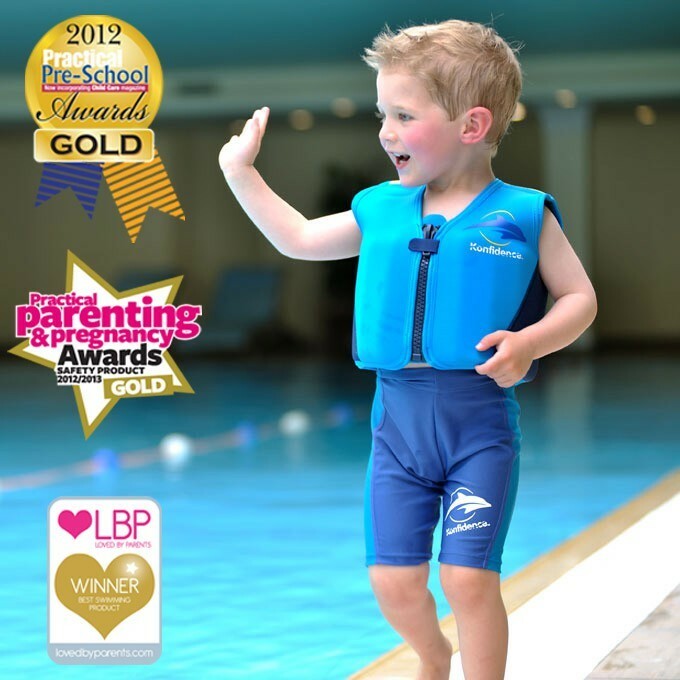 It has helped tens of thousands of children to learn to swim, and enjoy swimming and playing in the water. It is equally good at the local swimming pool in the depths of winter, as it is on the summer vacation in the pool or by the beach. The trademark yellow back, which features on all the Original Konfidence™ Jackets, also helps the wearer to be seen from a long way away. 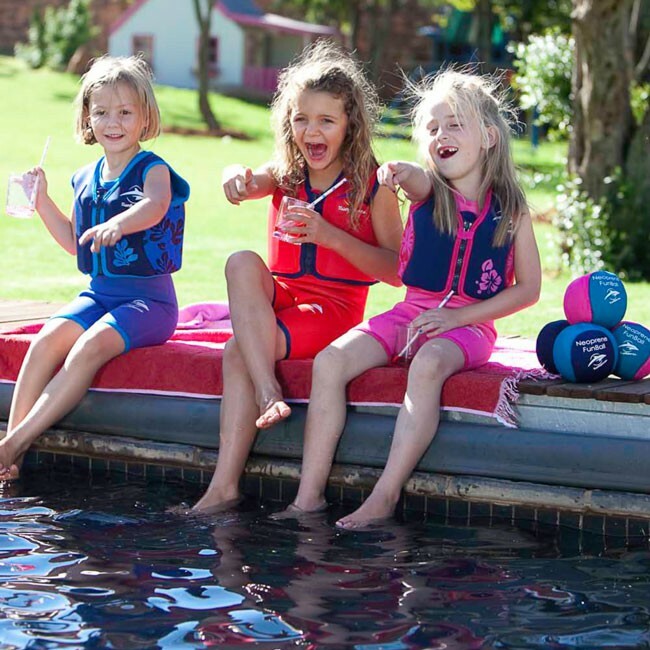 In 2004, with the burgeoning baby swimming activity classes growing rapidly in the UK, our Babywarma™ open flat neoprene swimsuits/baby wetsuits were launched.